YouTube has more than one billion users, almost one third of the internet. 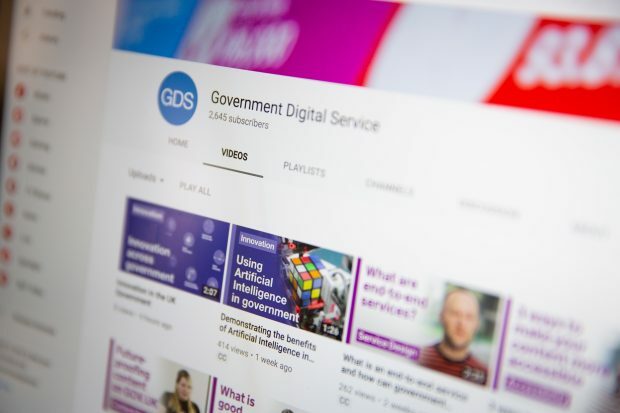 With all these potential users, it’s important the Government Digital Service (GDS) YouTube channel has accessible, useful and strategic videos. Since GDS was set up in 2011, films and animations have always been integral to the organisation. They allow us to explain complex concepts in simple ways. As part of our recent review our social media strategy, we realised our YouTube channel was not living up to its full potential. Following a channel audit, we’ve refreshed it with a new look, reorganised the content and made films easier to find. Why did it need an update? The channel turned six in March this year. Although every video that was published was created with a clear purpose, there was no narrative to link them together so did not appear to be a cohesive channel. It did not feel or look like it was representing the great work that GDS did and continues to do. Historical analytics showed in the beginning, users and subscribers grew rapidly, but has since plateaued. Other government department channels, such as the Met Office and the Driver & Vehicle Licensing Agency (DVLA), were performing much better with strong content and large subscriber bases. We unlisted more than 200 pieces of old and duplicated content. Unlisting means you hide a video from a public-facing channel, but it remains online and continues to work if it is embedded or linked to in a webpage. This meant only the most relevant content was being seen by the public. Since 2011, we have updated films when necessary, but it also meant multiple versions were published. This led to confusing search results as sometimes the older version would appear higher in search results. Unlisting older content stopped this. We countered content being hard to find by building 16 new playlists and series which are organised by topic so viewers can easily find related material. For example, if you just want to see films about Accessibility, there’s a playlist for that. Series also means multiple films in the same playlists target similar audiences. Therefore introductions are not needed for each video – a new episode can simply pick up where the previous one left off. This gives us the freedom to develop content in response to the changing digital landscape. Series also encourages viewers to watch through the entire playlist, rather than just one video. Each new series was given a designated colour for use in their thumbnails, for example pink for transformation and black for GOV.UK. This smartened up the look and feel of the channel, building trust in the video before it had been viewed and making it easy to associate films by the topics and series they belonged to. The YouTube channel follows the GOV.UK guidance on accessibility – we want to make the content as accessible as possible. However, some of the older films on the channel had not been reviewed to check whether they had subtitles. All the public films with dialogue have now been checked for accuracy and no new film will be published without them. Subtitles can be switched on by clicking the ‘Subtitles/CC’ button in the YouTube player. We also found many old films had little or no metadata for search engine optimisation (SEO), which meant they were difficult to find via a search result on YouTube or via a search engine. So we changed our titles to be more descriptive of the video’s content. This meant renaming titles with questions like “what is”, “how does” and “why we” so the audience knows they will receive an answer before they watch. Our descriptions now also include at least one external link so viewers can find out more information if they want to. This might be to a GOV.UK service or product page, the GDS blog or our social media. We did a show and tell for GDS staff to hear what they thought of the updates. Feedback included themes on what videos the YouTube channel should host. Colleagues wanted to see videos that educate rather than instruct, more animation, films on innovation and more timeless videos. 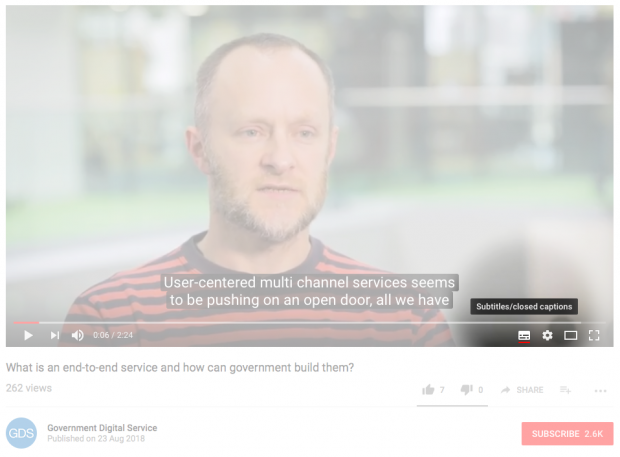 Timeless for GDS means answering perennial digital government questions, for example ways of working, stories of transformation or our principles. We want to go further on the colour schemes. Going forward, films created for a specific playlist will adopt their series colour within the film graphics too, for example all Innovation films will be purple. To increase interactivity, films will now hold for around 5 to 10 seconds at the end to allow end cards to appear. End cards are interactive elements that allow the user to click through to related content, playlists or the GDS channel. This provides viewers with curated similar content that should improve retention across the channel. 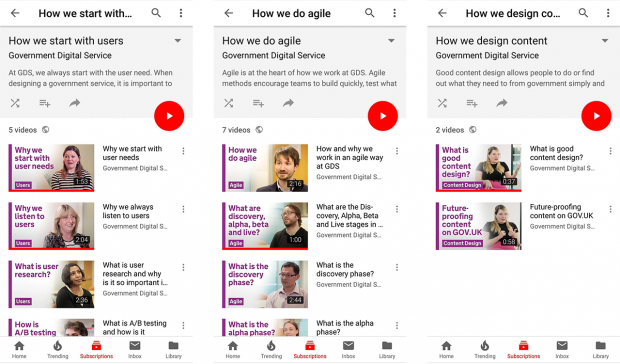 Ultimately we want to make the GDS YouTube channel a destination where users can learn digital practices, see GDS’ great work in action and understand the digital transformation of government as a whole. We’re always keen to improve, so please let us know what you think of the updates in the comments. Alastair Mogford is a motion graphics designer and film-maker at GDS. 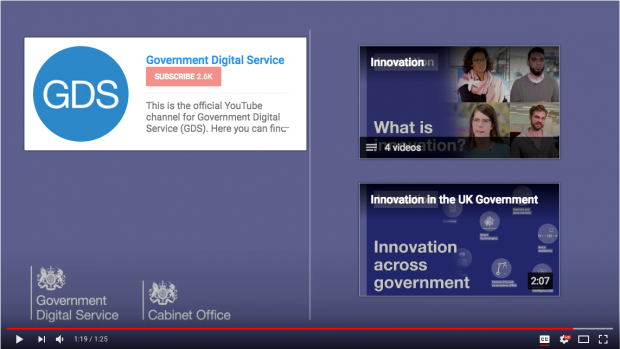 To see the newly updated channel, head to the Government Digital Service on YouTube.